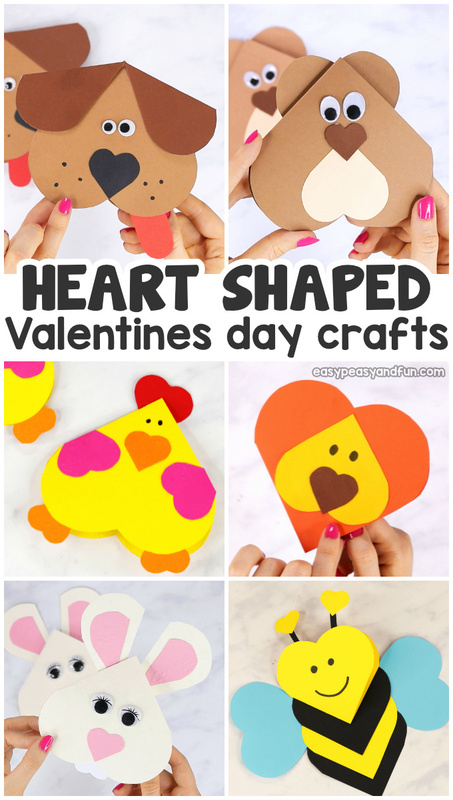 If you need a fun Valentines day project to make with your kids, you just have to give this heart animals crafts a go. 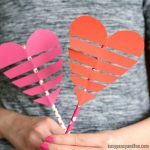 These heart shaped animals make the most wonderful DIY Valentines and are really easy to make. 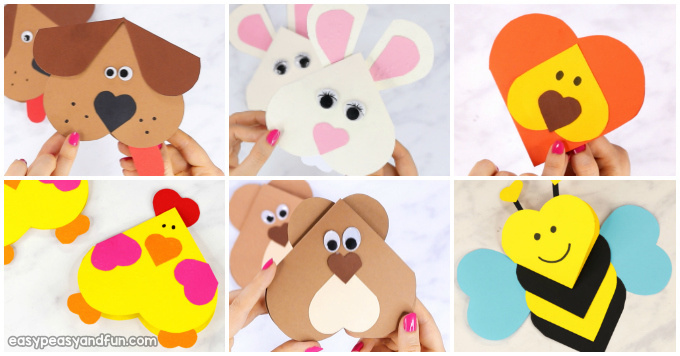 Once you make one, you’ll just have to make a dozen of valentines animals. 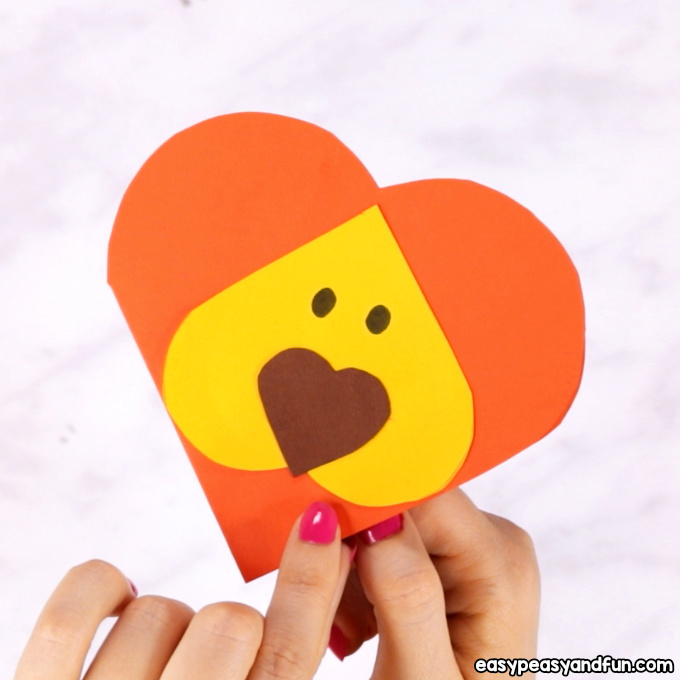 Grab a pair of scissors cut out hearts and glue ;). This all that you need to do. 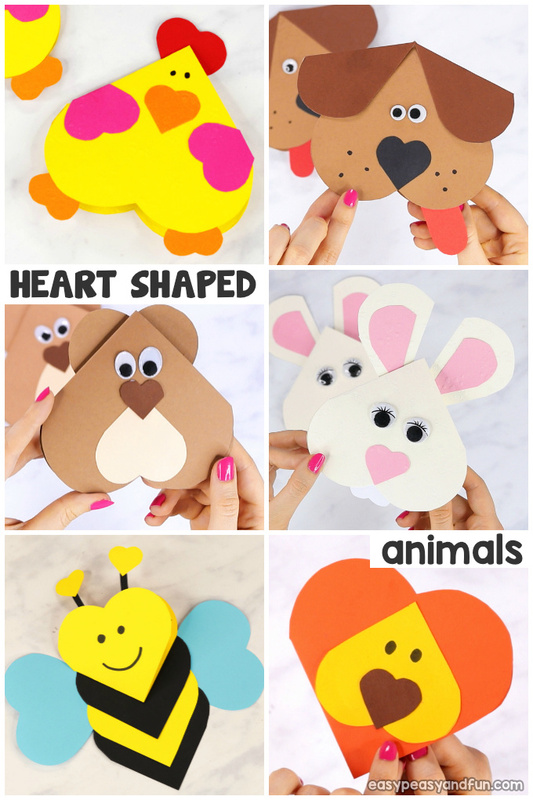 But fear now, we have quite a few step by step tutorials to guide you through the process of creation your heart animals. We’ll be sharing quite a few fun ideas with you, and more are to come so make sure you come back and check them out. 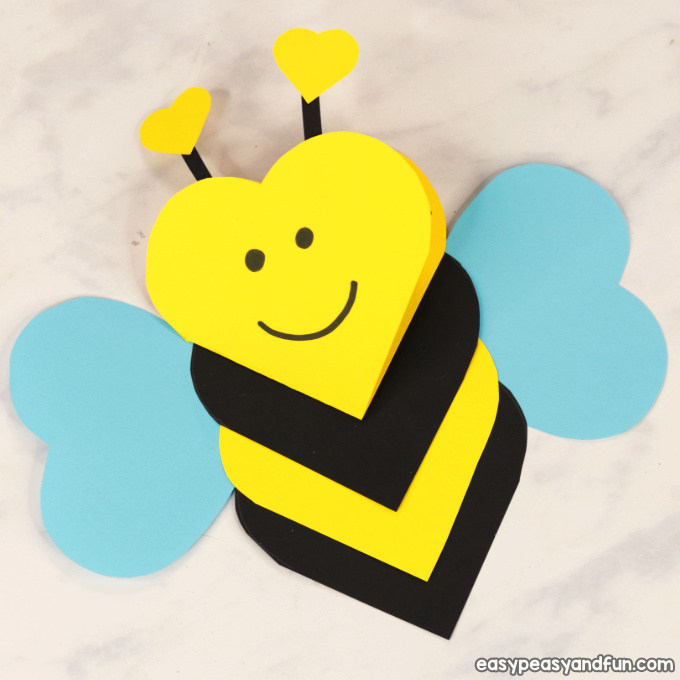 You can make an entire bee using hearts only, although for better looks two rectangles for the antlers are cool too. You will need 2 yellow hearts and two black ones for the body, as well as 2 blue ones in the same size for the wings. Once you’ve got that covered all that is left are two small hearts for the antennae. 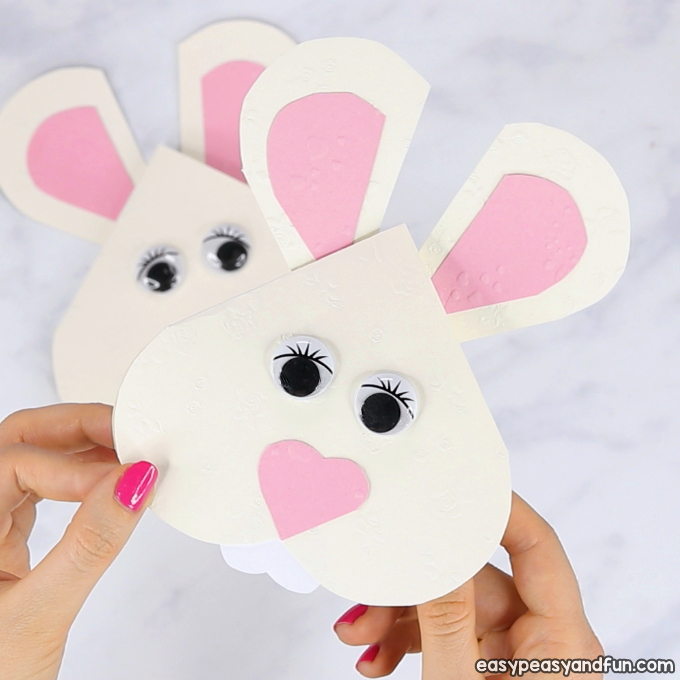 See step by step tutorial here. This little dog is, as is the bee, made almost entirely out of hearts. 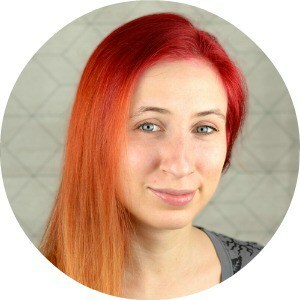 You will need an oval/rectangle for the tongue but that one can easily be skipped. 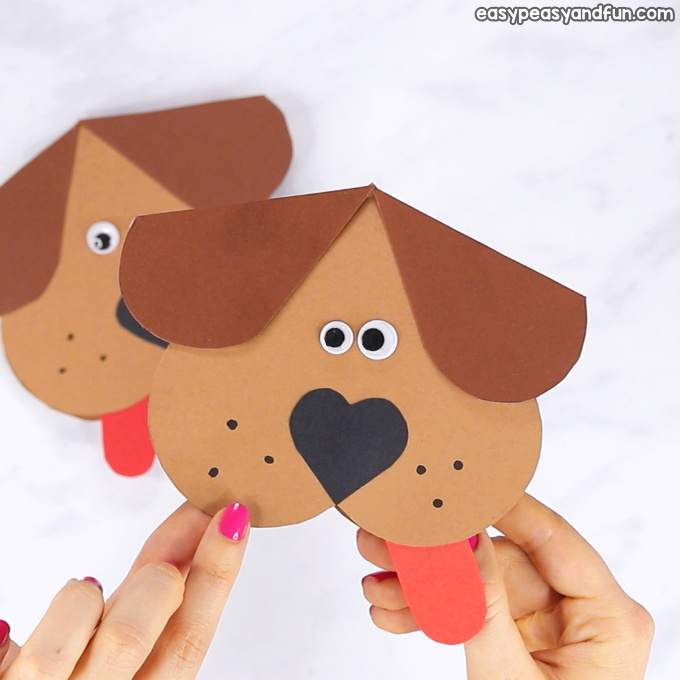 For a brown dog you’ll need a light brown heart, a smaller dark brown one and the smallest black one for the nose. 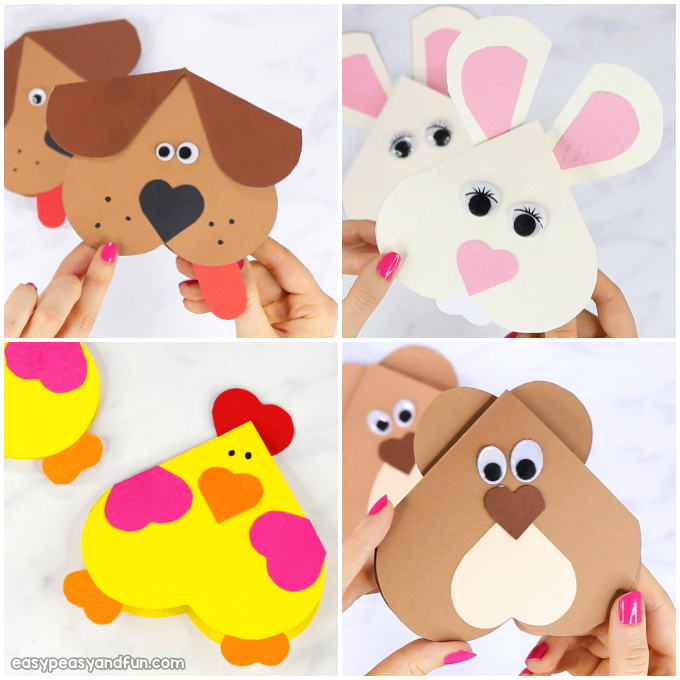 Naturally you can make your dog in many other colors too. 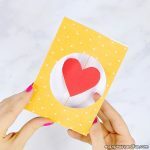 Full tutorial on how to make heart shaped dog card. Who loves you beary much? This little on is just calling out for a fun little pun! 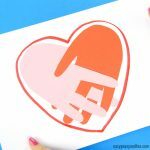 You’ll need only 4 different hearts to make this one. Only 3 different heart shapes are required to make a courageous lion. 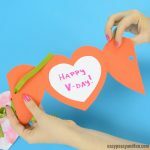 You can make this heart animal as a Valentines day craft or as an Easter one, either way it’s a fun project to make. 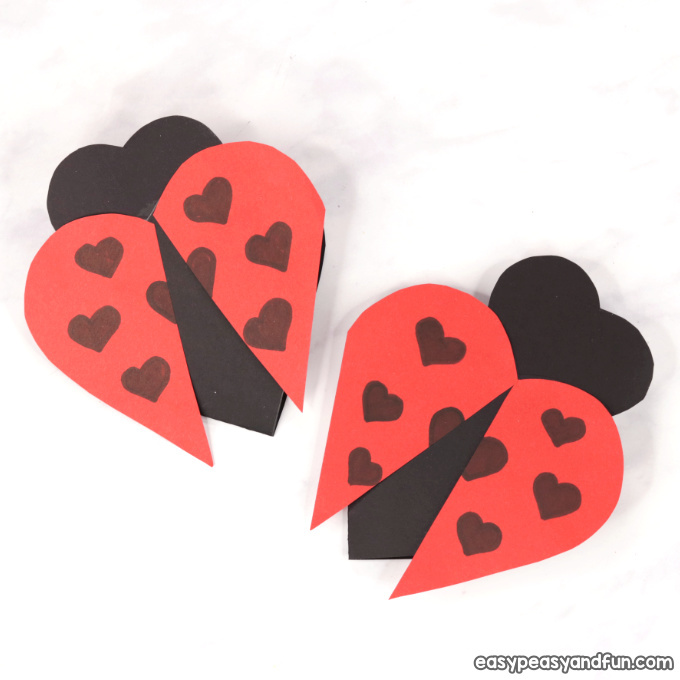 So many little hearts decorate these lovebugs. 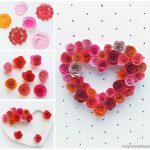 You can make them red, pink, purple or any other color really. 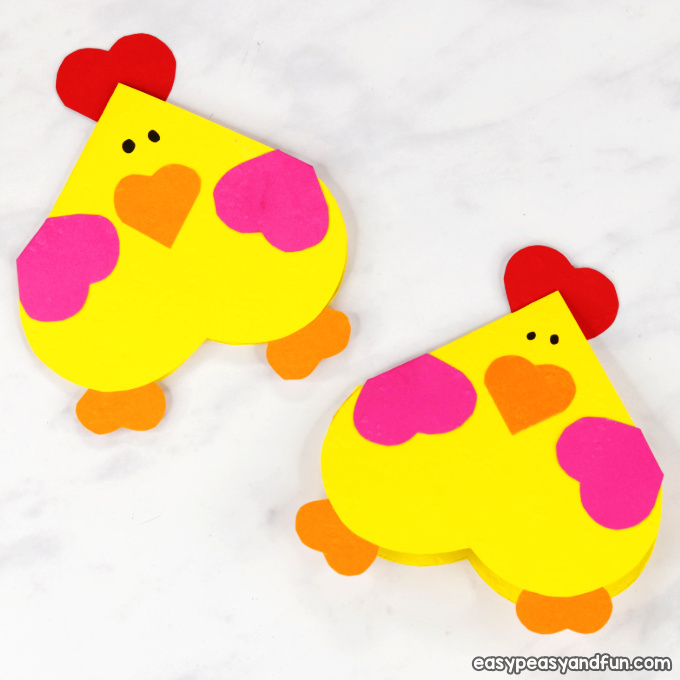 As with bunnies, these chicks are great to make for Valentines day as well as for Easter.